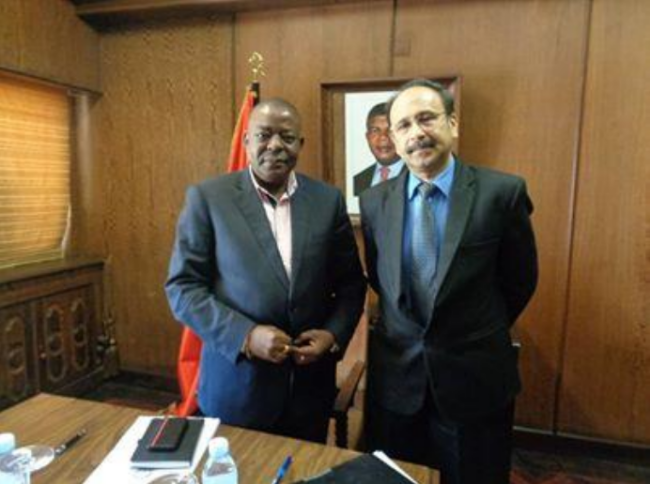 AMBASSADOR’S MEETING WITH ANGOLAN MINISTER OF AGRICULTURE AND FORESTRY ON 14 DECEMBER 2018. Ambassador H.E Mr. Srikumar Menon called on Angola's Minister of Agriculture and Forestry - H.E Mr. Marcos Nhunga on 14 December 2018. Discussions covered potential areas for bilateral cooperation in agriculture; its significance in the context of Angola’s plans to diversify its economy beyond the oil sector, seeking private investments, increase in exports and expanding agriculture to reduce dependence on food imports.